Artificial Limbs Manufacturing Corporation of India(ALIMCO), under Ministry of Social Justice & Empowerment and Aravali Power Company Pvt Ltd (APCPL),Jhajjar signed a Memorandum of Understanding (MoU)yesterday at Jhajjar, Haryanafor Rs. 2 Crores for Distribution of Aids and Assistive Devices to Persons with Disabilities at CharkhiDadri District of Haryana under the CSR initiative of APCPL in the presence of Shri D.R. Sarin, CMD, ALIMCO and ShriN.N.Mishra, CEO, APCPL.As per the MoU signed between ALIMCO and APCPL, Distribution camps will be organized at CharkhiDadri District for an estimated cost of Rs 2 Crores.In the Distribution Camps artificial limbs, aids & appliances such as Motorized Tricycles Tricycle, Wheel Chairs, BTE Hearing Aids, Crutch Axilla Adjustable, Braille Cane, MSIED Kit, Braille Kit, Smart Cane, Smart Phones etc. to Persons with Disabilities will be distributed.ALIMCO is a “Not ForProfit” Central Public Sector Undertaking working under the administrative control of Ministry of Social Justice & Empowerment, Government of India.For past 40 years, ALIMCO has been relentlessly manufacturing various types of aids and appliances on mass scale to meet the requirements of PwDs including orthopedically, visual and hearing impaired etc. It has been serving on an average around two lakhs of disabled population every year and has supplied 42 lakhs of aids & appliances (approx. ).Aravali Power Company Pvt Ltd (APCPL)is a Joint venture company with 50% share of NTPC Ltd, 25% of Haryana Power Generation Company Ltd (HPGCL, Haryana State company), and 25% of Indraprastha Power Generation Company Ltd (IPGCL, A DelhiState company). It has already distributed Aids and Appliances to Divyangjan last year at Jhajjar&Rewari Districts (Haryana) valuing Rs. 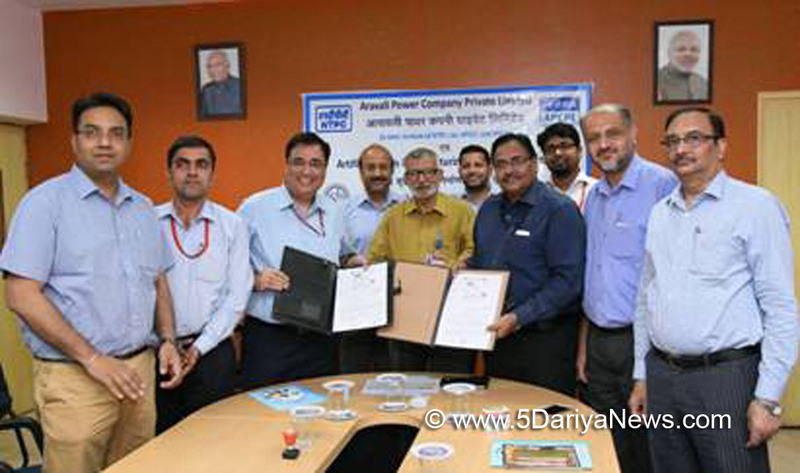 3 Crores in association with ALIMCO and now they have signed MoU for nearer District CharkhiDadri.